Recognized World Health Leader In Naturopathic Medicine by the Leading Physicians of the World. What is involved once you have completed the initial consultation questionnaire? After thoroughly going through your answers, either via Skype, Email or Phone, Julie will continue to discuss these with you, identifying where to begin with your treatment plan this may include a number of supportive elements ranging from herbal & homeopathic medicines, nutrition, dietary changes and counselling. Giving you full explanation of the difference between how pharmaceutical medications work within your body in comparison to herbal and homeopathic medicine, food and food supplements. If you are having challenges with life circumstances or wanting to eliminate negative habits. Julie will guide you through making the positive changes, organizing coaching and strategies that will best support you. This gives Julie the much needed information to make your individual Herbal and Homeopathic medicine, that will specifically help to treat not just your area of ill-health but also the underlying causative factors. Your emotions and Life choices can either have a positive effect or a destructive effect on your health. It is vitally important that these be acknowledge and worked through in order for you to become completely well. 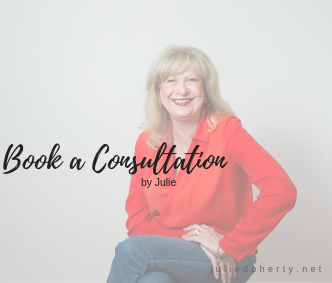 The reason for your intense Initial Questionnaire is to give Julie a complete understanding of your health concerns and underlying causative factors. The is far more accurate than any test that will be given. Why tests aren’t always accurate? Let’s take the allergy test for example, whatever it is that you may be allergic too, will not be just one thing or one food, it maybe a myriad of things such as chemicals that have built up in your body and that your body is reacting to. So I have found over the years, the best way to tackle this is following a detoxification process and to also build up your immune system. This is far more effective both in the short term and long term to that of the process of testing as there are too many variables. Optimal Health and Healing are the Prime Focus in Naturopathic Medicine! For Optimal health and healing, it is vital that consideration of YOU as a person: Not as some labelled health condition. 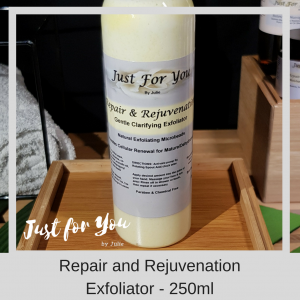 Labelling is so BAD, because for every condition there are just so many variables that there can NEVER, be just one Treatment fits all, also there may be several variable factors to consider as the best way to support your body back to health. As your body heals from your initial presenting symptoms, it is necessary to alter treatments and to look into how you can improve Lifestyle habits, stress, anxiety, nutrition – the foods that you are eating and healing any emotional pain or trauma. This is what is known as the Holistic Practice of Natural Medicine. Therapies and treatments are very much focused on individually prescribed herbal & or homoeopathic medicine. Due to the fact that you are unique as are the cause or causes of your health concerns. For example: Hypertension (high blood pressure) may have a variety of base causative factors such as: Stress, hormone changes, Diet, Lack of exercise or mobility just as a couple of examples. These would need to be treated quite differently. The best Diagnosis is Achieved with by talking and the questions that you have answered in your initial questionnaire. Also body signs, tongue and nails give accurate indications as to the inner health problems that are occurring. Mindful Nutrition – Making the Food you EAT, your BEST friend and NOT your WORST Enemy. Nutrition is the foundational building block to your health. It is important to know, firstly if your diet is nutritional balanced. Does it suit your needs and are you Digesting your Food properly. If your digestion is poor then you will not be absorbing the nutrients effectively from the foods that you are eating. Therefore even taking Nutritional supplements will not help until the your digestive issues are solved. Is it allergic reactions to certain foods or is it the chemicals that are being added to foods? Is it this tampering with whole foods that are causing allergic reactions. Food allergies can also be caused by a suppressed immune system. This all needs to be taken into consideration and cannot be successfully detected, even in food allergy testing. 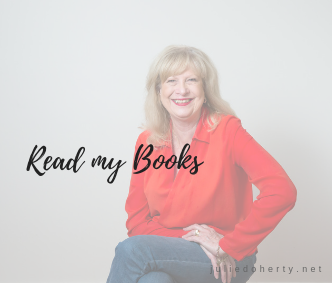 Changing the Food you Eat to Improve your Health & Prevent Disease: Over the years I have found that the best way of helping my clients to become well, is in supporting them with improvement in the foods they eat each and everyday. This is empowering you to take charge of your health and life, it isn’t adding any extra cost to your budget because each person has to eat, therefore it is just in changing the food that you spend your money on to eat. Once people become focused on buying healthy food, they lose interest and find that they don’t want to spend their money on unhealthy foods. There can be underlying emotional, traumatic circumstances that are causative triggers to your health problems. By bringing together balance and harmony to your mind and nervous system. This will support your body physically and mentally with healing. Allowing you to have the strength and commitment needed to bring about your healthy life changes. A major part of my role as a Naturopathic Practitioner is in having an in depth knowledge of the various medications and their side effects. These side effects cause imbalance and sometimes damage to other areas of your body. It is important when working through your health concerns to verify if any of the symptoms and causative factors as in relation to the medication that you are taking. It is also important before prescribing any herbal or nutritional support to understand any interactions that may occur due to the medication that you are taking. Herbal and Homeopathic medicine still provide the most successful support to healing your body. I have an extensive herbal and homeopathic dispensary, your specific herbal & or homoeopathic formulas are made & dispensed at the time of your consultation. All Herbal & Homoeopathic medicines and supplements that I prescribe are Australian sourced & manufactured for their efficacy and safety. They are manufactured with the best quality assurance under pharmaceutical standards through to our world. If your answer is YES!– Then go on over to get started with your Online Consult Today!